19 December 2016. A clinical trial is set to test a type of drug that its developers say is designed to treat infections from bacteria resistant to earlier antibiotics. The early-stage trial will test the safety and chemical action of the drug code-named SPR741 by Spero Therapeutics in Cambridge, Massachusetts. Spero Therapeutics discovers and develops anti-infection drugs it calls potentiators that interact with and pierce the lipopolysaccharide outer layer of gram-negative bacteria, often found difficult to penetrate with current drugs. Potentiators, says the company, are new types of chemicals that work with other antibiotics, and are active against both gram-negative and gram-positive microbes. “Gram” refers to a classification for bacteria where the microbes either retain (gram-positive) or shed (gram-negative) a test stain on their protective cell coatings. SPR741 is the company’s lead product designed to reduce gram-negative bacteria associated with conditions such as pneumonia, bloodstream infections, wound, and surgical site infections. 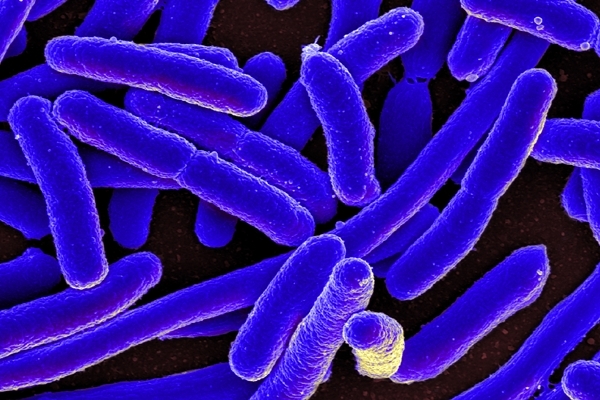 Among the bacteria treated by SPR741 are Escherichia coli or E. coli bacteria, a common foodborne and disease-causing microbe, Klebsiella that can cause pneumonia and infections in health care facilities, and Acinetobacter bacteria, which present serious problems for patients in hospitals, especially in intensive care units or with weak immune systems. Spero says the early-stage clinical trial will test SPR741 for its safety, tolerability, and chemical activity in the body with healthy volunteers. In the first phase of the study, 64 participants will be randomly assigned to receive a single dose of SPR741 at different dosage levels or a placebo. In the second phase, 32 participants will receive multiple and varying doses of SPR741 or a placebo for 14 consecutive days. The company licensed the rights to SPR741 from Northern Antibiotics Ltd. in Finland. SPR741 is derived from an antibiotic compound known as Polymyxin B, associated with kidney toxicity. Spero reported in a series of poster presentations at a meeting of American Society for Microbiology in June that tests in monkeys and other lab animals showed no toxic effects from SPR741 except in the kidneys of rats at the highest doses. Other posters confirmed the mechanism of SPR741 in disrupting the cell membrane structure of bacteria, and showed its potency when combined with conventional antibiotics. Spero Therapeutics is a spin-off enterprise from Massachusetts General Hospital, first formed in April 2014 by life science venture company Atlas Venture with Partners Innovation Fund, the venture capital division of hospitals affiliated with Harvard Medical School, including Mass. General. Spero licensed the research of Laurence Rahme, a molecular biologist at Mass. General working on bacterial diseases — and scientific founder of Spero — which the company extended to design its multiple virulence factor regulators.